We’ll be looking at other aspects of what was going on in the reign of Elizabeth and under the early Stuarts, dealing with a number of themes that run across from about 1560 to 1640 and then we’ll return to the political narrative. So I’m going to look at things like witchcraft and crime and popular protest and education and the growth of literacy. But first of all, in order to understand all of these developments and create the context of change, we need to know what was going on in economy and society, both of which were changing in their structure quite significantly in these two generations at the turn of the sixteenth and seventeenth centuries. And today I’ll focus on the economic developments. So, a bit of economic history. Economic history is rarely immensely popular but it does matter. It’s absolutely basic. It’s perhaps an unfamiliar kind of history. It’s mostly done in economics departments, but what I’ll try to do basically is to give you a clear overview of what we know about what seems to have been happening in this period and your handout will provide you with some statistics to chart the overall developments and illustrate some of the details. Okay. So by the 1560s already, as you know, population growth and price inflation had impacted to some degree upon established patterns of social relationships especially on the land between landlords and tenants. In this situation there was need for sustained economic expansion if a growing population was to be maintained and in particular if the younger generation were to be able to find employment, to enjoy living standards comparable to those of their parents, and such expansion needed to be considerable if it was to keep pace with continued population rise. If you look at your handout, table number one there, we have the best figures available for population showing that by the beginning of Elizabeth’s reign in 1561 it had already reached about three million, by 1601 it had topped four million, and by 1641 the population had risen to just over five million. 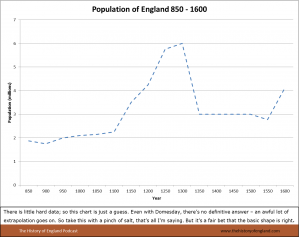 In fact, the population in England seems to have been rising faster and for rather longer than was generally the case in Europe at the time. Between the 1520s and the 1640s, the population of England and Wales roughly doubled whereas in most European countries which — continental European countries — which have been studied the rise was something like 50%. That suggests that whatever the population rise in England had in common with what was going on elsewhere in Europe, perhaps in terms of its origins, it was nonetheless being sustained rather longer, perhaps because of factors peculiar to the English situation. There seems to have been a capacity to absorb increased numbers of people to a somewhat greater extent than in much of continental Europe. And that this could happen at all is of course an indication that some kind of economic expansion was probably going on. And so the question arises and has been extensively investigated as to what were the areas of economic expansion in this period. Well, in a predominantly rural society, of course, we need to begin with agriculture. And if you look at table two on your handout, 2(a), there’s an index there of agricultural output. It’s the best estimate currently available, calculated by the agricultural historian Mark Overton, and it suggests that grain output rose by about 38% in England between 1550 and 1600 and by a further 26% between 1600 and 1650. Over the entire period something like a 75% increase in grain output. Well, how did they achieve that? One thing they did was to extend the cultivated area. In fact, very little land was not used at all so really this was largely a matter of changing the use of the land so as to increase the intensity of its use. They did that in many ways. One way was by clearing woodlands and bringing the woodland into arable production. A good deal of that went on in the heavily wooded areas of the West Midlands here, and elsewhere piecemeal. Another thing they did was to drain waterlogged land and to reclaim it for agriculture. There was a good deal of that going on piecemeal around the country. Down here in eastern England for example a lot of salt marsh along the coast was brought in permanently. They built dikes so that it wouldn’t flood and drained it, much in the manner that was practiced in the Netherlands, of course, and brought that land into permanent pasture use. A lot of wasteland was plowed up and brought into cultivation. There was a lot of piecemeal change of that kind wherever wasteland was available, but there were also some very large projects of that kind which were sponsored and overseen by the royal privy council. In the west of England a lot of forested land was ‘disafforested’ by the crown; that is its status as forest land was canceled. Woodlands were cleared. Land was brought into cultivation all over the west. Another major scheme was in the fenlands of East Anglia. 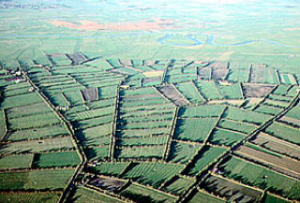 The fens were from the 1620s onwards gradually drained and that land was brought into cultivation. Dutch engineers were brought in because of their expertise in draining land, building dikes, drainage channels and so forth. It’s because of that drainage which took place in the seventeenth century that if you drive through that area you’ll find the roads are higher than the surrounding land. Well, much change then of this kind going on, and this tended to recast the balance between arable and pastoral production in the kingdom as a whole. It also furthered increased specialization in accordance with the best use of the land. 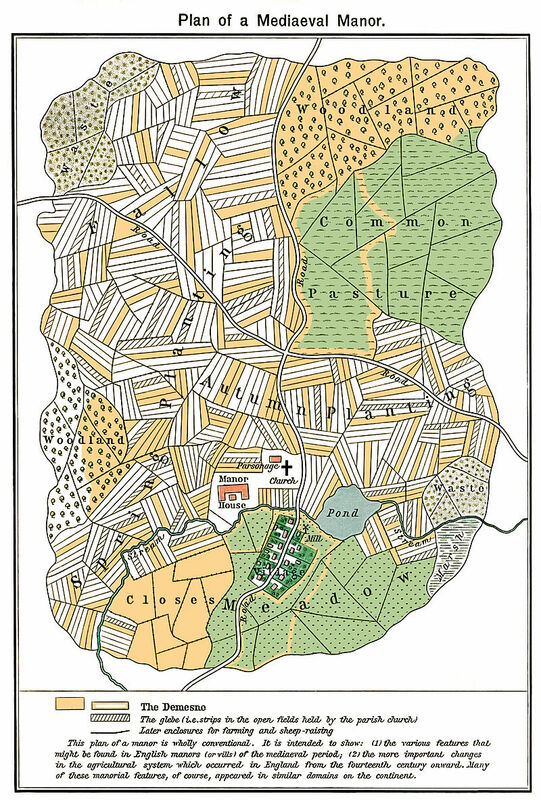 In the forest of Arden, for example, in Warwickshire an area which was previously largely an area of grazing in forest clearances [correction: clearings] much of the forest was cleared and the land went over from meat production to arable and dairying. Amongst the arable crops they began growing more barley as well as wheat to diversify the product. They generally increased the food base of the area. They were producing milk and cheese and grain as well as meat, and you get other areas where there’s even more diversification. Down in Kent to the southeast of London. Northern Kent became an area specializing in producing wheat for the bakers of London. Other areas of the county specialized in fattening cattle which were driven down from the north, fattened up and then went to butchers in London. There were areas specializing in hop production, as there still are, for the brewers of London; areas specializing in market gardening for the city. Proximity to the vast food market of London, of course, encouraged specialization of that kind. And such specialization in various parts of the kingdom in turn encouraged intensification of cultivation. Sometimes that was by introducing technical changes in agricultural production. There was a lot of attention paid to better forms of manuring the land, not just using animal muck but also spreading lime on the fields or ‘marling’ the fields. Marl is a kind of chalky clay. They would dig it up and spread it on the fields and then plow it in. Techniques of that kind had the effect of reducing the acidity of the soil and they encouraged nitrogen mineralization which encouraged the fertility of the soil. They didn’t know the chemistry of what was happening, but they knew that it worked and techniques of this kind were quite widely practiced. There were also technical changes in the form of changing rotations in the use of land between having it down to grass or plowing it up for arable crops, in particular an innovation which is known as convertible husbandry, or up and down husbandry, it was often called. Previously, the practice had been in the great open fields around villages to leave one of them fallow each year. It would be rested for a single year and then brought back into production. Convertible husbandry was a much more efficient form of rotation. You would leave the grass — the land down to grass for quite a long time, ten years, twelve years perhaps, then plow it up for just two or three years and then put it down to grass again. The effect of this change in rotation was that the land was — got its heart restored better. You got greatly improved cereal yields when it was plowed up for arable, but at the same time you had more of your acreage down to grass at any one time, so you could keep more animals. So they could increase both their output of grain and the density of the livestock which they raised. This practice, up and down or convertible husbandry, had long been known in some areas but it gradually spread as a particularly efficient practice, and it spreads all over lowland England between about the 1580s and the 1650s. And finally, change of all these kinds could be facilitated by enclosing the land into individually managed farms. As you know, in the sixteenth century there’d been great hostility to enclosure for pasture which took land out of arable production. In the late sixteenth century, partly because of this hostility to enclosure, the enclosure movement slackened, but at the turn of the seventeenth century it began to pick up again. In the central England county of Leicestershire in the — what people refer to as the Midland Plain of central England, for example, about a third of the county had already been enclosed by 1550. In the second half of the sixteenth century, only 5% more was enclosed. The movement slackened. But in the early seventeenth century it picked up again and 40% more of the county was enclosed. Similar figures have been produced for other areas particularly in the Midlands. Well, this second wave of enclosure, of dividing up the fields and common into smaller fields individually managed, it was different in two respects from the earlier enclosure movement. First of all, it was now not so much enclosure for conversion to pasture, especially conversion to sheep ranching. Now it tended to be enclosure for the practice of improved arable husbandry or convertible husbandry. 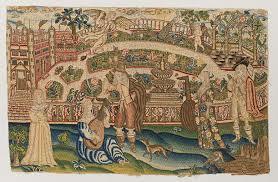 When the forests of the west were cleared and the fens of the east were drained, the land brought into production tended to be divided up into individual fields and then let out to local farmers where they practiced convertible husbandry in their enclosed farms. Secondly, this differed because it was not a thing which was just pushed through unilaterally by the local gentry who wanted to create sheep ranches in the early sixteenth century. Now it was a movement which tended to proceed by agreement — agreements which would be struck between local gentlemen and the principal local farmers, their biggest tenants in the main. And so you find all over the kingdom local communities coming to agreements of this kind to enclose the common fields or the common pastures. To take just one example, there’s a village up in the West Midlands called Highley, which has been much studied, and it has excellent records, and at Highley, for example, it was in the 1610s and the 1620s that the open fields of the parish were gradually enclosed little by little by agreement, and then they rounded the whole thing off by dividing up and portioning out the woodlands and common pasture of the manor. The whole idea of this was to create consolidated farms which would be under the individual management of a particular farmer. That gave those farmers freedom of movement in managing and adapting their husbandry practice as they saw fit. Intensification of methods was not impossible in the old open fields, but it was much easier on farms under individual management, and in consequence the old communally managed customary system of agriculture gradually weakened. It weakened its hold on agricultural organization generally, survived in some areas, but in many parts of the country it was gradually disappearing and in some it was almost wholly extinguished. Right. Overall, various combinations of changes of this kind appear to have boosted agricultural output considerably, even boosting the yields per acre, the productivity of the land. The study which is represented by the figures on two — table 2(b) — on your handout of land productivity in a number of counties, a study based upon farmers’ inventories — the crops that are recorded in their inventories and also on some surviving account books — this suggests that in these counties cereal yields, numbers of bushels per acre, rose by about 15% in the late sixteenth century and by another 4% in the early seventeenth century. Okay. Well, gradual change of this kind in agriculture implies that there existed a larger market for agricultural produce and in some ways a more distant market for agricultural produce that farmers were trying to serve. And those markets were found, as you would imagine, above all in the towns and in those areas of the countryside which had large populations which were engaged in activities other than agriculture; industrial areas of the countryside. This was a period of very marked urbanization, very significant urban growth. Some of the figures are there on table three on your handout for a number of cities. In Worcester, for example, the population rose between 1550 and 1650 from just over 4,000 to roughly 8,000. In Norwich the population of the city rose from about 10,000 to over 30,000. And above all there was massive population growth in the city of London. The figures are there for you. 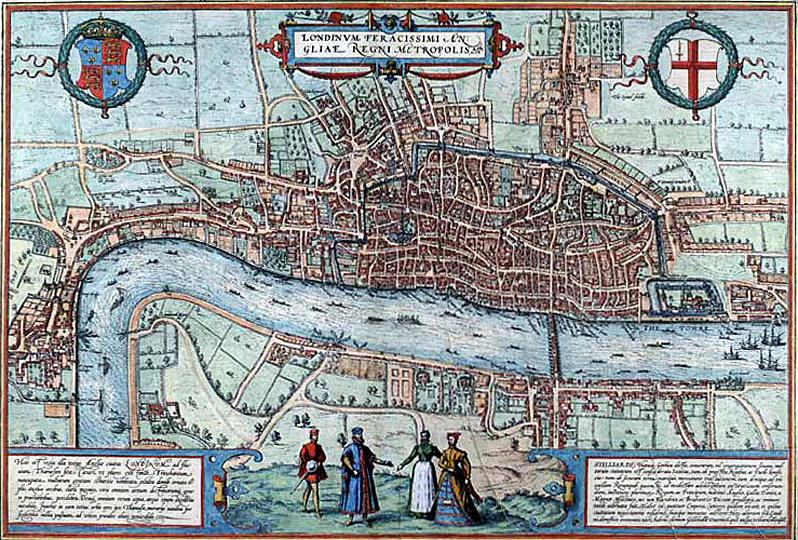 In 1550, London was already about 70,000, by 1600 200,000, by 1650 400,000 and still growing. By 1600, London already contained 5% of the national population. By 1650, London contained just over 9% of the national population and was still growing, and today it’s about 10%. It had almost reached that proportion in the mid-seventeenth century. So very significant urban growth. All of that involved, within particular cities, the taking up of vacant space within their walls for building, the subdivision of existing housing and the growth of suburbs outside the old city walls. 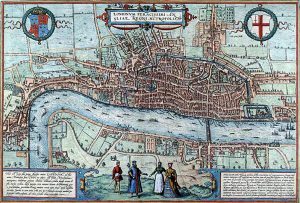 In London, for example, by the 1580s there were complaints by the local authorities of what they called “pestering of houses with diverse families” or multiple occupation. Or again “multitudes of people” — these are quotations — “multitudes of people brought to inhabit in small rooms and… heaped up together and in a sort almost smothered,” said one report. Overcrowding; congestion. In addition, in the parishes outside the city walls there was significant suburban growth. The parishes of east London, to the east of the Tower of London, the modern East End, in the 1570s contained about 7,000 people already. So there was already a significant population in these parishes just outside the old city walls. By the 1630s, there were 50,000 people in the east London suburbs. 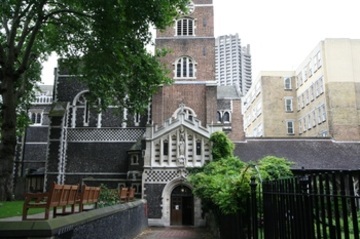 Or if we turn to western London the parish of St. Martin-in-the-Fields, which was literally in the fields in the mid-sixteenth century, had a population of about 600 when Elizabeth came to the throne. By the 1630s, St. Martin’s had a population of 18,000. So this single London suburban parish contained more people than most of the cities in other parts of the kingdom. The Church of St. Martin-in-the-Fields is the one that stands beside Trafalgar Square today right in the heart of the city. Well, this formidable urban growth occurred despite alarming levels of urban mortality in the overcrowded, increasingly insanitary towns. They didn’t have adequate water supply. They didn’t have adequate sanitation measures. ‘Background mortality’, ordinary, everyday mortality from infectious disease in the towns was very bad, far worse than in the countryside. Even within the cities it could vary quite significantly. For example, in the late sixteenth century average life expectation at birth in the wealthier districts of London was thirty to thirty-five. Average life expectation of birth in the poorer parishes of the East End was only twenty to twenty-five. The towns were also prone, of course, to catastrophic ‘crisis morality’ in the form of epidemics, particularly epidemics of bubonic plague. Norwich saw five major epidemics of bubonic plague between 1579 and 1640. London also saw five in the same period and most other major cities witnessed a number. These outbreaks could kill 10-15% of the population or even worse. In York in 1604, which was a really bad year, when the plague spread from city to city across the kingdom — in York in that year roughly 30% of the population died. In Newcastle up here in the northeast in 1636 an estimated 47% of the population died between May and October of that year. These were absolutely devastating events and they were at their worst in the poorer, overcrowded, dirtier areas of the cities. It’s been said by Paul Slack, who’s written a wonderful book about the impact of the plague, that there was a “distinct urban topography” of the plague. The disease was no respecter of persons, but it raged at its worst under certain social conditions. And yet despite these appalling catastrophes the towns continued to grow, London above all. 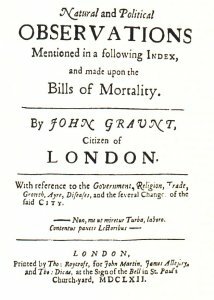 One of the earliest demographers, a man named John Graunt who published a study based upon the mortality figures for London which were regularly collected by the city authorities to keep an eye on the epidemic disease situation. He studied them for the first time. He made various projections on the basis of those figures. 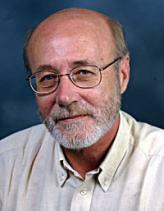 He was a great pioneer of the use of statistical information. He came to the conclusion — I’m quoting him — “let the mortality be what it will, this city repairs itself within two years.” The loss of inhabitants could be rapidly replaced. And the evidence is that this was so, and of course the loss was replaced primarily by continued migration to the towns. Other people came not as betterment migrants with good prospects of that kind but as what have been described as “subsistence migrants,” people looking for any opportunity to find work and hoping that the city would provide it. And clearly it did, perhaps not the opportunities that people hoped for — the streets of London were certainly not paved with gold — but opportunities of a kind, to make a living of some kind. The quickening urban economies of other cities also did the same. 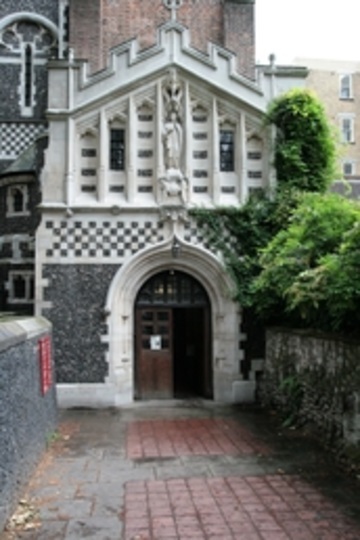 In Colchester and in Norwich, for example, the cloth industry was expanding, particularly with the help of refugees from the Netherlands, from the religious wars of the Netherlands, who came and were placed in those cities by Elizabeth’s government and who were welcomed because they introduced certain advanced cloth-making techniques, which helped to improve the local cloth industry and assist its expansion. In London above all you get a spectacular diversification of manufacturing activity. In east London along the river there were shipyards. There were also businesses producing all sorts of other goods ancillary to the shipping industry: rope making, sail making, coopers making barrels, people making pulleys, pulley makers for the ropes that held — for the rigging of the ships. 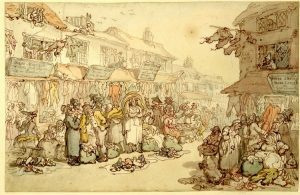 In London you also find textiles, especially luxury textiles, a massive brewing industry, metal trades, sugar refining, starch making, soap making, glass making, and so one could go. And then of course there was all the activity around the wharves and the river in what was England’s greatest trading city. So urban economies were expanding. The numbers of apprentices being taken on were growing, the level of activity was growing, the activities themselves were proliferating. But manufacturing in other industries also extended well beyond the cities. Manufacturing of some products had long been established in rural villages under the ‘putting out’ system, and this period also witnessed considerable growth in activities of this kind. It rarely involved really significant technological change of the kind that we associate with the industrial revolution and the birth of the factory system, but what it often saw was the adoption, or the imitation, of the best practices known at the time and the diversification of the products which were being produced, and there was also something of a spread in the geographical location of various kinds of manufacturing activity. 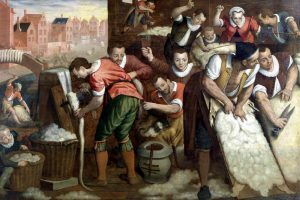 As you know, the premier traditional industry was the production of woolen broadcloth, most of it exported to the Netherlands where traditionally it was finished and then passed on to markets across Europe. This traditional industry had had something of a crisis of overproduction in the 1550s and thereafter found that its markets were somewhat declining. Its overseas markets were somewhat declining and it faced pretty stiff competition from the Dutch. But the textile industries continued to expand nonetheless. The most dynamic areas of textiles were not the old broadcloth industry but the production of what they called the “new draperies.” The new draperies. These were lighter, fully finished, more colorful cloths rather like modern suit cloth. If old — if the old broadcloths were rather like a heavy blanket, then if you imagine modern suiting cloths that’s what the new draperies were like, worsteds of various kinds. They had lovely names for them. They were always inventing fancy names for these new cloths: Bays and Says and Perpetuanas and Calimancoes. All of these were different forms of worsted cloth. The new draperies were centered in the towns of East Anglia where they had been- where their establishment had been greatly assisted by the influx of skilled refugees from the Netherlands. They brought their expertise and they helped to revive and transform the cloth industries of those areas especially around Norwich and Colchester. But the new draperies were not the whole story of textile diversification. Up in Lancashire around the town of Manchester, which at this time was not a great city but a small market town, there was the growth in the late sixteenth and early seventeenth centuries of the manufacture of so-called “fustians.” Fustians involved a mixture of cotton and linen and the production of this cloth — it was cheap, coarse cloth for the home market, cloth for the poor — was centered around Manchester. It’s the distant ancestor of what was later to be the great cotton industry of the city of Manchester. Another thing that was spreading in many rural areas was stocking knitting. The wives of farmers and agricultural laborers were often involved in knitting high-quality stockings. Many people knitted stockings for themselves, but there was a market for high-quality stockings supplied by people working in that way. The stocking industry spread all over Norfolk, spread across the Midlands into the Nottinghamshire area, which is actually still to this day a center for the manufacture of stockings and underwear. Marks and Spencer’s gets a lot of stuff from Nottinghamshire and so on. One could talk about silks, luxury textiles. Silks were introduced by French Protestant refugees from southern France and silk production became established principally in eastern London and also in the town of Canterbury in Kent. So, a lot of diversification, not only in woolen textiles but in some new developments like silk. And this was part of a larger diversification of manufacturing in town and country. A lot of the new — the altogether new manufacturers which were introduced were really forms of import substitution encouraged by the royal government so that things could be produced at home rather than imported. Traditionally, a great deal of miscellaneous manufactured goods actually were imported, principally from the Netherlands or north Germany. Under Elizabeth the privy council was very responsive indeed to anyone with good ideas for introducing these things into England. They would often encourage them by granting them a patent which would give them the monopoly of producing a certain item for a stated period of years, after which it would be open to anyone who wished to participate in the industry once it was established. It’s the origins of the patent system, of course. Well, numerous patents were granted. To take some examples, which may seem almost silly but they mattered. Pins. One doesn’t usually think of pins when one thinks of major economic expansion, but in 1597 England imported 40,000 pounds’ worth of pins from the Netherlands. That’s a lot of pins, and a lot of money. In the first decade of the seventeenth century, pin manufacturing was established under patent in the suburbs of London. They mostly employed children making the pins. By the 1630s, the patent had expired and it spread beyond London, became particularly established in villages in the west of England in the Gloucestershire area. From about this time onward, most English pins were produced at home, and so one could go on. 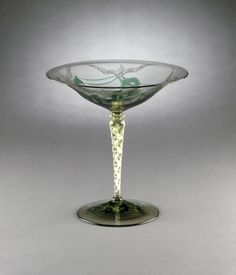 Glass was nearly always imported before the 1580s. Patents were then granted for introducing glass manufacture particular — particularly to the counties of Kent and Sussex and then it spread to some other places. There were glassworks around Newcastle very soon. By the 1620s, nearly all glass bottles used in England were being produced at home instead of imported, and so on. Well, industries of this kind were generally somewhat decentralized in their organization. They were organized on the putting out system. They didn’t involve a great deal in the way of investment in fixed capital in the form of industrial plant, machinery and so forth. Principally, they needed the capital to buy raw materials, to pay workers who were working in their own cottages or workshops; to market the finished goods. It was all done on the putting out system, but there were a number of other industries which were also beginning to bring a rather different face to industrial activity. Iron for example. Iron manufacturing really got going in the mid-sixteenth century when the technique of using blast furnaces was introduced into England from Germany. It was greatly encouraged by Elizabeth’s privy council because they wanted iron production domestically for the production of munitions. By the 1570s, there were over fifty blast furnaces operating in the forests of the area known as the Weald, down here towards the south coast, the forested area with fast-running streams which were suitable for driving some of the machinery involved. In the early seventeenth century, the industry in the Weald had stabilized, even declined a little, but there was a great deal of relocation to south Wales, largely because that area offered a combination of iron ore, forests to provide the timber to produce charcoal for the blast furnaces, and also fast-running streams to drive the machinery which was used in slitting mills in iron production, machinery driven by water wheels. All of this is very interesting to go into in detail to see the technology they used, but I’ll spare you that, but it can be followed up if these things interest you. By…by the 1580s, the levels of iron production of the 1550s had increased threefold. By the 1640s, England was producing 23-24,000 tons of pig iron a year. Those were the signs of things to come in the iron industry which continued to grow, but a lot of iron was still imported from Scandinavia in particular, from Sweden especially, to serve a growing industry producing metal wares and that was centered in the West Midlands around the town of Birmingham. Metalware production had taken place there for many years, indeed centuries, but was greatly increasing. They produced there many metal products used in agriculture and in the building industries and in shipping; nails and locks and scythes and buckles, latches for doors, bits and stirrups for horses, and so forth. All of this was organized by iron masters who lived in emerging towns like Birmingham, Walsall, and Stourbridge, and they did it partly by employing independent master craftsmen to produce specialized goods for them and also by putting out work — putting out raw materials for the simpler items like nail making, to cottagers who worked part time. And so one can go on. Lead production was also expanding. Some of the figures are there in table four, 1560s only about 600 tons of lead produced per annum, by the 1630s well over 12,000. 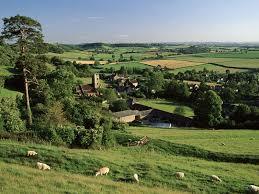 Lead production was centered in the hills of Derbyshire and in parts of Somerset where lead deposits were to be found. Okay. Well, much of this built on existing foundations, but the sheer scale of expansion began to give a very distinct regional geography to the English economy. There were distinctive areas of agricultural specialization emerging and there were also those areas which were rendered distinctive by their involvement in industrial activity. One traveler traveling through the West Midlands near Birmingham in the 1640s described it as being like “one continued village,” large village after large village heavily involved in iron production. The Stour Valley area stretching up from Colchester where the new draperies were well established was described as with — continuing — consisting of a constellation of villages in which a small number of clothiers set on work “a great company of poor people.” There again there’s the extraordinary moonscape which was emerging around the Newcastle coal field area in which there were many, many individual pits working down to depths of two or three hundred feet. And then they couldn’t really go any deeper because of drainage problems so they would simply open a new pit, creating a kind of moonscape across that whole area. This kind of regional differentiation enhanced the redistribution of the population as people seeking work moved to places which had the capacity to provide them with some kind of employment, be it in agriculture of particular kinds or in industry. I’ve already touched on the migration to the towns. There was also migration to certain rural areas which were becoming very densely populated, especially the manufacturing districts, and those densely populated areas of course exerted demand in their turn for the agricultural products of a more specialized agriculture. Something of the redistribution of population which was going on is summarized in section five of your handout. There are some figures calculated by the demographer E. A. Wrigley showing that between 1520 and 1670 the rural agricultural population, those directly employed in agriculture, was significantly reduced, the urban population living in towns of over 5,000 rose from about 5.5% to over 13%, and the rural non-agricultural population rose from about 18% to something like 26%. That’s the people living in small towns all working in rural industry. All of this was of course linked together by internal trade. The established arteries of internal trade grew in their significance. Road traffic increased. Traffic around the coast and on the rivers, a very good way of moving bulky goods, greatly increased. Networks of internal trade were elaborated and tightened. If that had not happened, then none of these developments would have been possible. The emerging picture is one of an elaborating web of commercial interconnection pulling the various regional economies together even more tightly than had previously been the case. And this intensification of commercial activity involved new commercial practices, and one of the best indicators of the sheer extent of what was going on is actually provided by the evidence of the law courts. A great deal of the litigation which took place in England’s law courts concerned broken contracts, disagreements over debts or the meeting of contractual obligations. There was an absolutely massive rise in the amount of such business within the courts. If you look at section six of your handout, you’ll see that in 1560 just over 5,000 cases of this kind were heard by the central courts in London. By 1640, it was almost 29,000 cases being heard a year. And this is just the tip of the iceberg. These are the deals that went wrong and resulted in someone suing someone else. One can only imagine the massive amount of commercial activity which was going on. 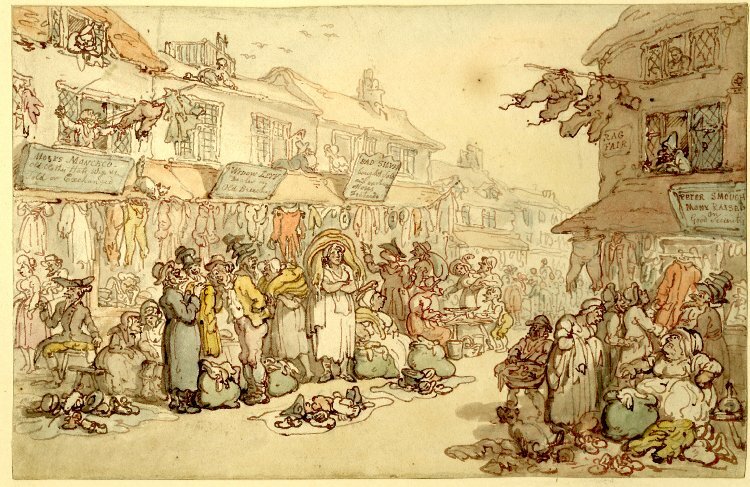 Whereas in 1500, then, a great deal of the marketing which had taken place in England was rather localized, with some longer distance flows going across the kingdom in particular commodities — cattle, cloth and so forth — by the early seventeenth century one gets a picture of a society which was ever more closely interconnected and integrated by market dealings and commercial transactions. This was in short a commercializing society, an emerging market economy in which the living and the daily economic dealings of a far larger proportion of the population were shaped by the market. And finally it wasn’t just becoming a more internally integrated commercial society, it was one which was also linked increasingly to a larger world. Because the same decades in the late sixteenth and early seventeenth centuries saw a transformation of overseas trade, from a pattern which had been very much based on short-distance traffic across the English Channel, a few voyages down to other French and perhaps Spanish ports, but predominantly concentrated on the narrow seas, to one in which English merchants were trading directly with far more diverse areas of the world. They began doing so partly to look for new markets for English cloth, partly also to get direct access to the source of much desired imports which had previously been obtained from the Netherlands. They stopped trying to go direct to source; looking for grain, for wine, for spices, for luxury textiles from far afield. The late sixteenth century, of course, was the beginning of the great age of exploratory voyages by English navigators, the voyages of Francis Drake, Martin Frobisher and so forth. But the really significant thing from the point of view of the economic development of the period were those who undertake — undertook trading voyages to establish new trades, often with royal backing, often through forming companies which would get a royal charter to conduct trade with somewhere with which England had not previously traded direct. So companies were founded with royal charters to trade to the Baltic in search of the furs, the grain of Poland, the timber products of Scandinavia, all of which had a place in England’s growing economy. Companies were founded to trade with Russia, sailing north around Scandinavia to the port of Archangel. They intended to proceed from there to get access to central Asian goods, though that was an enterprise which didn’t succeed, but they established trade with Muscovy. There was increasing trade direct with Spain principally for wine and currants, which were extremely popular. There was direct trade with Italy first of all and then with the Levant, bringing in spices, luxury textiles, wine and other goods. 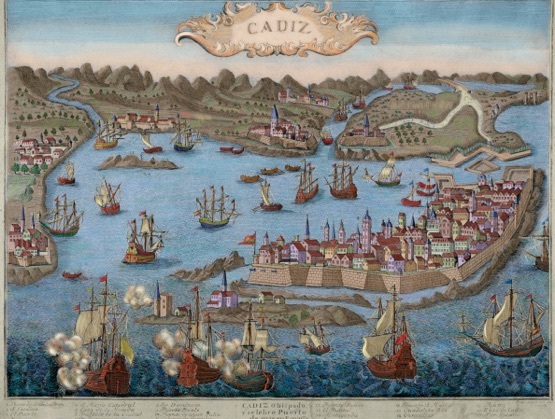 And finally, once the Muscovy company had learned that it could not successfully reach the East via Russia, they imitated the Portuguese and went the other way, around Africa to establish the trade with the East Indies with the voyages of the East India Company chartered in 1599 and voyaging for the first time in 1601. All of these trades once they had become established were consolidated and expanding in the course of the early seventeenth century when they were joined by yet another area of activity, the Atlantic trades. By the 1630s, there were already 300 English ships a year fishing off Newfoundland and bringing back the fish to Europe where dried cod was particularly popular in parts of southern Europe. And increasingly trade had been established with the colonies established upon the American mainland, after 1607, in Virginia and then Maryland of course, from the 1620s onwards in the Northeast, and Caribbean colonies, notably Barbados, being established in the same period. Jamaica wasn’t conquered until the 1650s. Most of these colonies managed to get on their feet through establishing plantation economies of course, and they produced the goods which were increasingly imported into England and then sold on to other customers. Tobacco for example, tobacco first being produced in large quantities from 1617 in Virginia, the salvation of the colony. 60,000 thousand pounds of tobacco were being imported into London already by 1622. By 1638, they were bringing in two million pounds of tobacco per annum, and from — yes, we’re very ungrateful to tobacco, [laughter] it had a major role. And that was followed from the 1640s by another product about which we’re very ungrateful, sugar, being produced in the West Indies and exported for refining in London. So then we have a panorama of economic expansion. Attempts to establish overall national income in this period are extremely dodgy, but a number of heroic economic historians have attempted to do it and you’ll find the estimates there in section eight of your table. It seems likely that between the 1560s and the 1590s national income had risen by about 48% and it rose by a further 51% between the 1590s and 1640, over the 80 years as a whole something like 120% growth in national income in real terms. If they’re right about that, and even if they’re wrong by 20%, it’s still a lot. If they’re right about that, it helps to account for the fact that population growth was sustained as long as it was and for the growing signs of prosperity which one finds throughout this period. And yet despite those positive and optimistic signs, as you’ll see in the final table, table nine, the prices of basic foodstuffs were still rising, suggesting that despite increased output there was a continued imbalance between population and food resources. The period also saw complaints of poverty and a continuing decline in the purchasing power of wages. 1.The terms “betterment migrants” and “subsistence migrants” were coined by Peter Clark in “The Migrant in Kentish Towns,” in P. Clark & Paul Slack, eds., Crisis and Order in English Towns1500-1700 (1972). 2. Vivien Brodsky Elliott, “Singlewomen in the London Marriage Market,” in R.B. Outhwaite ed., Marriage and Society (1981). 3. For this calculation, see E.A. Wrigley, Continuity, Chance and Change (1988). It helps to explain how the long population growth of the late sixteenth and early seventeenth centuries was able to be sustained. And yet, as the final table on last-time’s handout showed, there’s also reason to doubt whether the expansion was sufficient, or whether the new wealth that was being created was well enough distributed in society, to avoid some real problems. Especially, real wages continued to fall and there were complaints of a growing problem of poverty and vagrancy. So there are paradoxes in the situation. And to get the economic expansion into perspective, we have to look a little more closely at how it actually impacted on people from different social groups. Inevitably that involves a certain amount of generalization but I’ll also try to give you examples of people from different groups which will help to give it something of a human face. So, let’s start by looking, as usual, at the top and at what was happening to the landlords, the gentry, the nobility. It’s really one of the striking features of English society in this period that many of the nobility and gentry identified themselves very closely with economic innovations. Their imperative was to maintain and, if possible, expand their estate incomes and in doing so they became very deeply involved in the commercial restructuring of the country’s economy. That’s rather unusual for a traditional ruling class. On the whole, such people tend to rely more upon their social privileges than upon trying to improve their competitiveness. But, certainly, the gentry and the aristocracy, or many of them, did make real efforts of that kind. 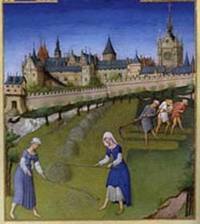 And you get, basically, an acceleration of the trends which had already become visible in the mid-sixteenth century: a lot more careful management of their estates in order to produce more from their home farms for the market and in order to get a greater rental income. That often involved extending the use of leasehold tenure, tenure of land just like a modern lease; and wiping away the old, rather inflexible, customary tenures so that they had a more flexible management of their rental income. There was also something I touched on last time: a good deal of reorganizing their estates into enclosed farms, for which they could get better rents. And in general, every effort being made to edge rents upwards when opportunity arose. And in general, the landlord class did pretty well. Of course a lot depended upon the fortunes of particular individuals and their personal quirks and characteristics. 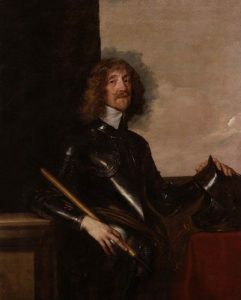 To take, for example, the Verney family, who had substantial estates in Buckinghamshire, just to the north-west of London: Sir Edmund Verney, who lived in the late sixteenth and early seventeenth centuries, was a man who was principally interested in forging a political career at court. That was very expensive. He had to sink a lot of his income into fortifying his position at the centre and as a result he incurred pretty considerable debts. He succeeded quite well; he became King Charles I’s Standard Bearer. In fact, he died in one of the earliest battles of the English Civil War bearing the King’s Standard. But his son, Sir Ralph, was of a rather different nature; he actually took a different side in the English Civil War. And when the War was over he devoted himself assiduously to restoring and improving the rather depleted inheritance he’d received from his father; involved in all the kinds of measures of estate management that I’ve briefly mentioned. Indeed, Sir Ralph was so keen to rebuild the family’s fortunes that when his first wife died he remained celibate; he didn’t remarry. He didn’t want any more children. He didn’t want the risk of the estate having to be divided amongst more children, since he already had a number who had survived infancy. So, different personalities, different outcomes; but all part of the same process. In general, the income of the gentry and the nobility was expanding. And much of it was spent, not only upon extending and improving their estates, but upon various kinds of conspicuous consumption. It’s a great age for the rebuilding of the manor house’s of the gentry. Many of the lovely country houses which still survive were built in this period, or rebuilt, as well as some of the great ‘prodigy houses’ of the age. The great mansions: Burghley House near Stamford which is up here in East Anglia; or Kirkby Hall in Northamptonshire, it’s another very good example, that’s over here, the splendid mansion from this period which survives. They went in for more elaborate furnishing and lifestyles and, in addition, this was a period when many of the gentry and nobility, the wealthier ones, began to spend part of the year in London. 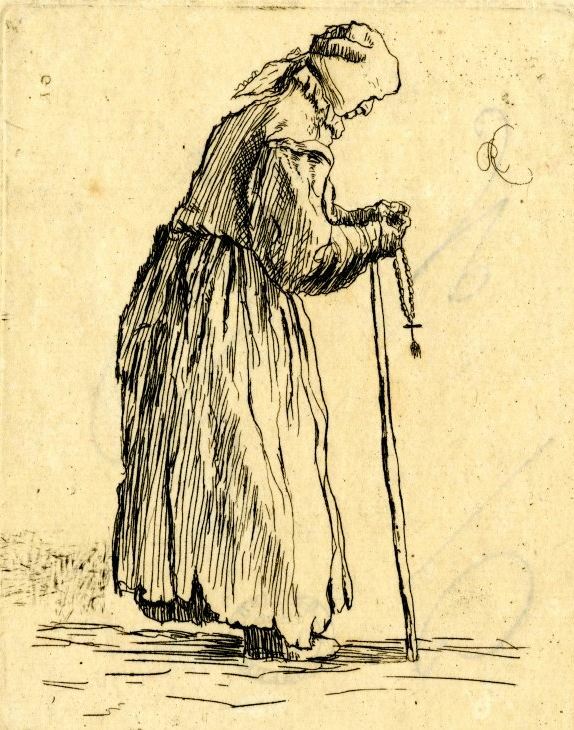 It sees the beginnings of the development of what became known as the ‘London Season’: the habit of spending the winter in town and being absent from their estates, which were run by stewards for long periods of the year. This resulted in something of an urbanization of gentry culture, something which has been, recently, very well studied by Julia Merritt in a book on the emerging West End of London; the elite aristocratic enclaves around the royal palaces. To give you an idea of the kind of proportion of these people who might be in town, in 1632 King Charles I, in the circumstances of a harvest emergency, ordered the gentry to return to their estates to keep order and to see to the needs of local people. He had to fine 250 members of the nobility and gentry who were resident in London and didn’t go home when they were ordered to do so. Given that the great gentry and nobility numbered, perhaps, 2,000 families, that’s a very significant proportion of them who were resident in London and were fined for failing to go home. Well, if this was a good time on the whole, for landlords, if they used the opportunity sensibly, if we turn to their tenantry, to the yeomen and husbandman, one finds a more checkered picture. Opportunities to improve incomes were also common amongst the more substantial farmers. Those who had a big farm with a substantial surplus to market, were actually very well placed to benefit from rising prices and for the growth of the market for their products, be it food-stuff or agricultural raw materials. Many of these yeomen were extremely commercially astute. A very good example is a man called Robert Loder, here’s his name, whose farm accounts survive from the 1610s. He lived just to the west of London in the county of Berkshire. Robert Loder calculated every year exactly how much money he was making from different crops. He took decisions about how to vary his cropping pattern in accordance with price trends, especially the prices which he could get in London, and so forth. He even went so far, at one point, as to actually calculate the value of the dung that his pigeons deposited in his pigeon loft. He figured it out, what it was worth to him if he used it as fertilizer in his gardens. This is commercial rationality of a high order. He also calculated how much money his horses made for him over and above what he had to feed them. He then proceeded to do the same calculation for his servants. Well, Robert Loder had nothing to learn about economic rationality and his basic attitudes are not untypical of this kind of substantial yeomen farmer. Many such people were willing to expand their operations if they got the opportunity; if land came available on the local land market they would snap it up. They were able to pay higher rents. They were in an excellent competitive position and as a result, you get a general shift in lowland England towards the building up of larger farms. In the county of Essex, for example, here to the east of London, it was very commercially oriented. 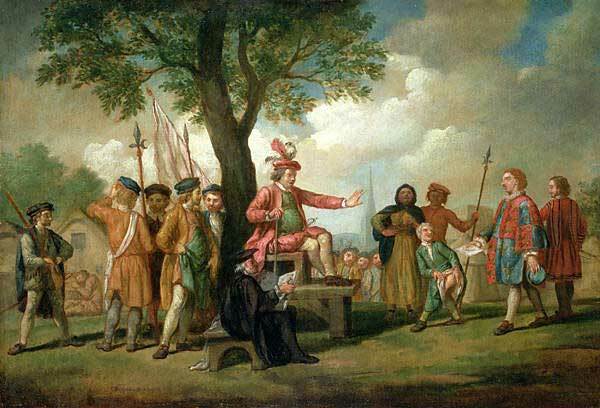 By the early seventeenth century, nine percent, approximately, of the tenants held sixty-one percent of the land, built up in these large yeomen holdings. And there’s abundant evidence of the prosperity of the yeomanry. It was a great age for them. This period has been described by historians of housing as the age of the ‘Great Rebuilding’. And by that they mean not only the houses of the gentry, which I’ve already mentioned, but the houses of the yeomanry. It was a period when many of the farm houses inherited from the late medieval period were being remodeled. It was very common, for example, they tended in the late medieval period to be what was known as a ‘hall house’, which was basically one large room with some partitions and a fireplace, the smoke from which would just be emitted through a whole in the roof. This is a period when you see people building great, central chimney stacks, so that they could have fireplaces and get rid of the smoke, making the whole of the interior more comfortable. They tended to divide off the top of the house and to make separate, private chambers above, and frequently they would add staircases, of course, to get up there. They might extend their homes in all kinds of ways. Many of these houses, the great yeomen houses of this period, survive to this day. When you look at the inventories of these people, which were taken when they died, they also reveal a marked increase in the value of their household goods and in the elaboration of the types of goods that people possessed. William Harrison, a clergyman who described all of this happening in the later years of Elizabeth’s reign, said that despite the fact that higher rents were being paid, many of the villagers in his area — the yeomen farmers are the ones he was thinking of — were able, he said “yet to find the means to obtain and achieve such furniture as heretofore hath been unpossible.” And he went on to specify what that involved: joined furniture made by joiners, proper joined chairs rather than stools; nice tables; bedsteads; soft furnishings. There’s a proliferation in inventories of cushions and of carpet cloths. Carpets were — these were oriental carpets being imported by the Levant Company. They were put on tables, you didn’t put a carpet on the floor; it was far too valuable for that. You put it on the table, to decorate the table. Some representations of interior scenes in this period show that: the carpet across the table. And you find them also having more elaborate table-wear and more elaborate kitchen-wear, all sorts of odd products turning up in their inventories: apple toasters, for example. An apple toaster, something Crate and Barrel should perhaps try to imitate, to hold in the fire with an apple in it, and so on; all kinds of things. It’s been described by one historian of material culture as “a new household culture” with much greater comfort, much greater convenience, being enjoyed by these people.1 They could also put their money into other things: bigger dowries for their daughters so they could marry well. A study of Kent shows that in the reign of Elizabeth, the dowries being paid by yeomen with their daughters rose six-fold in the course of her reign. And they could also spend the money to have their sons apprenticed into trade, into professions, sent to school, in some cases even to the universities, something that I’ll return to on another occasion. Well, the yeomanry were the big fish of village society. Things were a little more difficult for the little minnows — the smaller guys, the family-farming husbandman. Some of them did fine. If they lived near a city they might have good marketing opportunities, they could specialize in producing fruit or market-gardening or dairying and could do pretty well. You also get a lot of husbandman diversifying their activities into part-time industrial activity. Over in the West Midlands, in the metal working districts, the inventories of scythe makers, for example, can be quite interesting, indicating that these people were engaged in farming, but also in producing scythe blades on the side; they had forges. Generally, they would work at that in the slack periods of the agricultural year. But for many of these small guys, the period was fraught with risk. The crucial issue was whether they could sustain their small farming economy under changing conditions. These were the people who would have most difficulty meeting higher rents. They might have a poor competitive position. One agricultural writer described them as “weak and un-stocked husbandmen.” They lacked capital; they produced smaller crops; they made smaller profits; they had fewer livestock. They couldn’t really, seriously contemplate indulging in expensive or risky innovations. And they were also very vulnerable to temporary crises like those produced by bad harvests, which could wipe out their surplus and force them into debt. Some of these people became vulnerable and were driven to the wall and their land was taken up by more ambitious neighbors. And, in general, there’s a diminution in the numbers of these small farmers. As the big farms are growing, many of the small ones are disappearing. A whittling away of small tenancies, which, in turn, made it rather difficult for the young to get onto the land to establish a foothold. More of the young people from rural families, after their period as servants in the households of larger farmers, were more likely to spend their lives as agricultural wage laborers than getting land of their own. So, the fortunes of different groups in rural society varied. They’re broadly fairly clear. One can generalize with some confidence. In the towns the picture’s a little less clear. Clearly there was a lot of commercial development and business opportunity, but this was a period when business was fraught with risk. Finding the capital to set up could be difficult. Keeping businesses going could be difficult in a period when cash flow could be hard to manage. People had to keep a good balance between their debts and credits; that could be very difficult. Accumulation of wealth was often very slow. And even the successful could be wiped out by temporary economic crises; by fraud; by fire — there’s no fire insurance; by shipwreck — there’s no marine insurance; and so forth. It was to try to counter some of these insecurities that some of the principal merchants of England’s cities preferred, if possible, to be members of chartered trading companies. Those companies which had a monopoly of particular branches of trade, the ones I mentioned last time, and which laid down rules for the conduct of the trade; rules which were generally aimed at securing stable profits for all the members of the company. And to restrict the numbers of people who were involved in particular trades. It’s true that no trading monopoly could protect a merchant from shipwreck, or piracy, or the collapse of demand, but, nonetheless, one can generalize to some degree, about the way in which they fared. For some, who were members of established companies, things could go pretty well. Take, for example, the Levant Company. The Levant Company traded to the Mediterranean, especially the eastern Mediterranean. In 1570 it was founded. 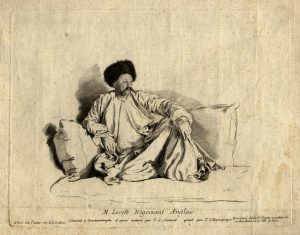 By the early seventeenth century to become a member of the Levant Company meant laying down two to three hundred pounds as membership fee; quite a substantial sum of money. By the early seventeenth century also, this company has been described as, I’m quoting, “a highly ramified network of interconnecting family relationships,” the members of which were often related to one another and controlling a great share of the trade. One contemporary described them as “born rich and adding wealth to wealth by trading in a beaten road to wealth.” In 1627 there were only twenty-four men who controlled fifty-four percent of the Levant trade. So, members of the great companies, having established the trade, could restrict it in various ways in order to ensure some stability in their trading lives. It was members of that company who were later to go on to found the East India Company. Well, in addition, though, there were certain additional opportunities. Another way to prosper, if you had the nerve and would take the risks, was to get involved in pioneering altogether new trades. And the most significant of those were the American trades. With the early establishment of colonies in America, the initial opportunities were not obviously good and many members of established trading companies were reluctant to invest. That left the path open for those who were prepared to take the risks of involvement and very often, those who got involved in the American trades were men of lesser standing in the merchant community: smaller merchants, even shopkeepers, ships captains, people like that who were willing to get involved; new men, you could say. They built up, as you know, a very substantial trade in the course of the early seventeenth century. To just give you an example of one of these people, a man called Maurice Thompson. Maurice Thompson was the younger son of a gentry family. He got a little bit of capital from his family but not much more; he didn’t inherit the family estate. He came from Hertfordshire, just to the north of London. How he came to go to Virginia is uncertain, but he was there by the time he was in his mid-teens and he got involved on the ground floor with the development of the tobacco trade. Pretty soon he owned land, he owned a ship, he became involved in the trade in tobacco and in the supply of goods needed by the colonists. He expanded his operations; he married well; he became a significant figure amongst the leaders of the Virginia colony as quite a young man. By the time he was in his early thirties he was back in London, managing much of the — a good part of the Virginia trade from his base there. And, indeed, he went on to expand his operations to become involved in the Indian Ocean and in other ventures. If you’re interested in that kind of person and that kind of development, Robert Brenner’s book, Merchants and Revolution, the first section is a splendid depiction of these shifts and developments in the last years of Elizabeth and under the early Stuarts. At lower levels in the urban hierarchy, the capital that people needed to set up in business was gradually growing. That made it a little more difficult to establish yourself as an independent master and a great many people had to be content with serving as skilled craftsmen working for others, whereas previously they might have hoped to become independent masters. Even skilled employees were often forced to work longer and more intensively, if the work was available, in order to sustain their living standards. To give you a specific example of this, I’ve got some figures here relating to building craftsmen from the town of Hull, on the east coast. Donald Woodward, in a very imaginative piece of research, worked out the price of foodstuffs; found the wages being paid to craftsmen of different kinds; and then figured out how many days you would need to work to feed husband, wife and three children. So, here are some of his figures. The best paid men in the 1560s could have fed their families with a hundred and fifty-three days work. By the 1630s, with rising prices, and wages not rising so fast, two hundred and twenty-nine days. The worst paid, a hundred and ninety-two days in the 1560s, three hundred and six by the 1630s. So, this was the experience of some of the craftsmen of the towns. 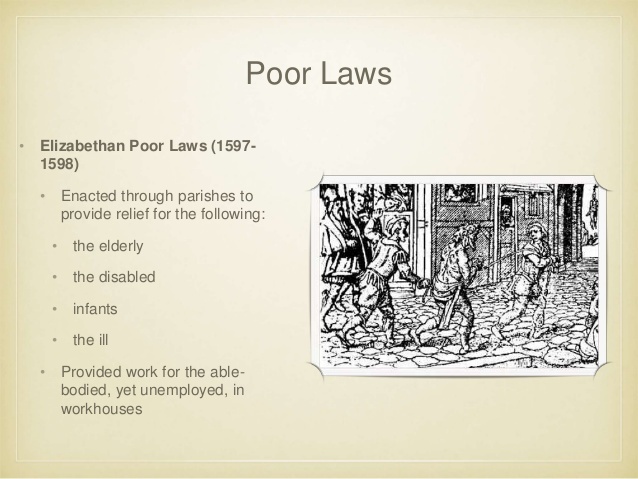 In town and country alike, then, what contemporaries described as the “laboring poor” was emerging as a larger, more wage-dependent population emerged; probably half the population by the mid-seventeenth century, to judge by surviving tax listings. Agricultural intensification and a diversification of industry and urban growth all meant that there was more work for such people. But the work was often seasonal; it was often insecure; there was a lot of under-employment, difficulty finding five days work a week; and so forth. And there was the constant pressure of greater numbers of people on the labor market. And it was this, really, that issued in what’s sometimes described as a problem of ‘structural poverty’. 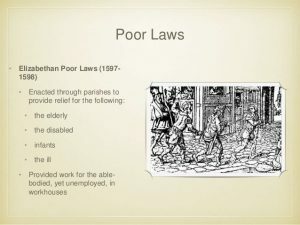 A large number of people whose very way of life on a day to day basis meant periodic hardship was almost inevitable some of the time; people who faced a situation in which the rate of pay for their labor was such as to mean declining capacity to meet the needs of their households. And that produced a distinct life cycle amongst the laboring poor. They could manage pretty well until they had, say, two children or so. They might even have a little bit of disposable income to spend on manufactured goods, but once they had too many mouths to feed, or if the chief breadwinners fell sick or injured, or if there was a trading depression, they could be plunged immediately into real hardship. And in old age, if they reached old age, they almost inevitably would be dependent upon charity. Many of these people survived by what’s been described as “an economy of makeshifts,” it’s a phrase of Olwen Hufton’s, “an economy of makeshifts.” You get by as best you can, doing what you can. Cottaging where they could; using the commons if they were available; gleaning the fields after the harvest, the poor were allowed to glean for grains of corn in the fields after harvest; and finding various kinds of assistance from their family, from their neighbors; moving around when there seemed to be better opportunities to piece together a living. That’s exactly the kind of person, moving around, trying to earn a living where he could, who might have been the sort of person who would’ve signed-on with a shipmaster in London to become an indentured servant in the new colonies in Virginia and Maryland. And indeed, many people who found their way to London but couldn’t find a place there did just that. In London, there was an institution charged with the oversight of the vagrant poor, the Bridewell. And the governors of the Bridewell actually dispatched over 1,100 people to Virginia and the West Indies between 1618 and 1658. At first they were mostly men, about ninety percent men, but by the 1630s about a third of them, or close to a third, were women. Two thirds of these people who were sent had been taken by the officers on the streets of London. Some of them were accused of crime, they might have been accused of being pickpockets or thieves; but most of them were simply out on the streets. They were described as “out after curfew” or “nightwalkers” — that was just loitering suspiciously on the streets at night. Some of them were former servants who had no place and were on the streets, and they were sent by the Bridewell to the new colonies. One of those who was sent gave his occupation as “Ballad Singer” which makes me wonder if that’s the origins of country music [laughter]. I’m serious [laughs]. In the early twentieth century, songs collected by folklorists in the Appalachians, many of those songs can actually be traced back to printed ballads which are known to be sung on the streets of London in the late sixteenth and early seventeenth centuries. They passed into the oral culture of the Appalachian area. So, England’s increasing income was very unevenly distributed. It was an expanding economy but one with an expanding problem of structural poverty. It was a commercializing society in which there were great opportunities, but many of those who had nothing to sell but their labor were in a poor competitive position and in an exceedingly risky environment. Of course, some aspects of those insecurities were perennial, but at times they could become particularly acute. And the times that stand out are the 1590s, which was a time when the harvest failed four years in a row, food prices rocketed, the weaknesses in the economy were revealed, and there was widespread misery. Indeed, in the years 1596 to 1598 there was actual famine in the most vulnerable areas; parts of the far north, north-west in particular, and parts of the far west. There’s evidence of actual death from starvation. The 1620s was another decade when there were bad harvests, combined, in this case, with an industrial depression. War in Europe had dislocated the markets for some of the goods that England exported, leading to industrial depression. There was widespread unemployment and poverty in many of the weaving areas. And again, some sinister evidence of actual famine in some of the most exposed areas. These were the hardest years. Really acute crises of that kind, of course, were exceptional, but they revealed the weaknesses within society as a whole. So, how to conceptualize all of this? Very often historians talk about these decades, these generations at the turn of the sixteenth and early seventeenth centuries, as witnessing a process of “social polarization” and there’s some obvious truth in that. There’s a real divergence going on in living standards and in life chances in a more competitive, commercialized economy. But it’s also, in some ways, more complex than simply the notion of polarization. In many ways, the social structure was rearticulating into a, sort of, three-part form. There were greater opportunities, on the one hand, to acquire and to consolidate wealth. There was a greater population of laboring poor on the other hand, both of which we’ve looked at. But there was also the elaboration of what contemporaries were beginning to describe as the “middle sort of people,” between the gentry and the poor. Successful manufacturers and tradesman, substantial yeomen farmers, increasing numbers of people involved in professions like the law and medicine and the offering of services of other kinds: surveyors, clerks, land agents and so forth. So, it all depends on how one looks at it. You can focus your attention upon the real polarization; you can also take account of these middling groups who are doing quite well. But, whichever way one looks at it, it’s clear that the old medieval conception of a society, simply describable in terms of three estates, had gradually decomposed under the pressure of economic and social change, and society was gradually recomposing itself; adopting a new shape under the pressure of various economic fields of force. And that transition involved not only shifts in the structure of society, but also shifts in peoples’ attitudes and values. By the early seventeenth century, decades of cumulative economic and social change meant that economic relationships and forms of behavior which had previously appeared new and rather threatening were becoming more normalized, more taken for granted. And some traditional values were losing some of their older moral force and you can see that in various ways, but a good example is to look very briefly at the problem of enclosure, the classic issue of great symbolic significance in agrarian society. As you know, in the mid-sixteenth century, enclosure had been demonized as something which was damaging to the well-being of the ploughman, to the strength of the nation, destructive of households and of the Commonwealth. And throughout the later sixteenth and early seventeenth centuries, actual enclosure schemes were very often opposed by coalitions of tenants and commoners who tried to defend their customary ways against the initiatives of landlords and others, and we look at that again when I look at popular protest. But, meanwhile, the debate over enclosure was gradually shifting. You get that shift reflected in Parliament. In 1601 there was a debate on the enclosure laws and whether or not to repeal them. Sir Robert Cecil, son of William Cecil, Elizabeth’s chief minister, speaking on behalf of the privy council said, “I think that whosoever doth not maintain the plough, destroyeth this kingdom. ;” very much the traditional attitude towards enclosure. He was opposed by Sir Walter Raleigh, yes, the Sir Walter Raleigh, who said he agreed that there was a situation which must be faced regarding agricultural change, but he argued that there were lots of countries in Europe which could produce corn cheaper than England could and, therefore, it should be imported rather than insisting upon maintaining land under the plough. He argued that every man should use his land to its best advantage and should be at liberty to do so. “Leave every man free,” he said, to pursue his economic interest. So we have the voice of economic individualism opposing Cecil. Debates like that in Parliament reveal a gradual process of transition in attitudes, tensions and shifts between older and newer attitudes, and that tension was resolved in various ways: sometimes by authoritative adjudication, by government decisions in Parliament or the privy council; often by sheer expediency, by people gradually adjusting themselves, voluntarily or reluctantly, to the demands of a changing world. In the case of enclosure, gradually most of the gentry and many leading tenant farmers came to accept its desirability, and the laws against it were in fact repealed in 1624, leaving people free to use their land as they saw best, as Raleigh had argued. Well, the attempts to stabilize and channel change by the use of the law gave way gradually to attempts simply to alleviate the worst manifestations of change where it had led to major social distress, and the greatest monument to efforts of that kind were the Poor Laws. The crisis years of the 1590s led to the overhaul and consolidation and extension by Parliament of earlier measures which had been taken in poor relief, resulting in great consolidated statutes of 1598 and 1601. Under those statues, a full national system of poor relief was created, based upon compulsory local taxation at the level of the parish, administered by officers to be appointed in every parish. 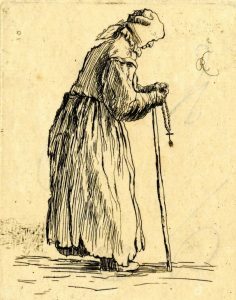 Under the laws, vagrants were to be punished and restrained; those who were deemed the “impotent poor” — the aged, the sick, the orphaned — were to be relieved by being paid weekly pensions in their parishes; and finally, the “laboring poor” — those who could get by most of the time but needed occasional relief — were to be periodically relieved by the parish to enable their families to get through hard times and, where possible, work was to be created for them. So what you have in the Poor Laws is a mixture of charity and discipline. In some ways, the system was quite well devised to deal with the periodic life-cycle crises of the laboring population, though rarely generously. It was a system which in many ways demonstrated England’s relative wealth. There was a tax base there to pay for it. But it was one, of course, which also demonstrated how unequally distributed that wealth was. In one parish, for example, the parish of Cawston in Norfolk, where the laws were put into operation very early, there were sixty-eight people in the parish out of one hundred and sixty households who were able to pay the poor rates to support the system. At the other end of the scale there were twenty households who received weekly pensions. So, sixty-eight are paying, twenty are receiving pensions, all the ones in between are neither paying nor in receipt of relief, though in bad times some of those families might receive occasional help. So, the Poor Laws, in a way, are both a response to and enshrine some of the changes which had taken place in society at the local level. I’ve surveyed, then, a process of redistribution of wealth in a changing economic environment. 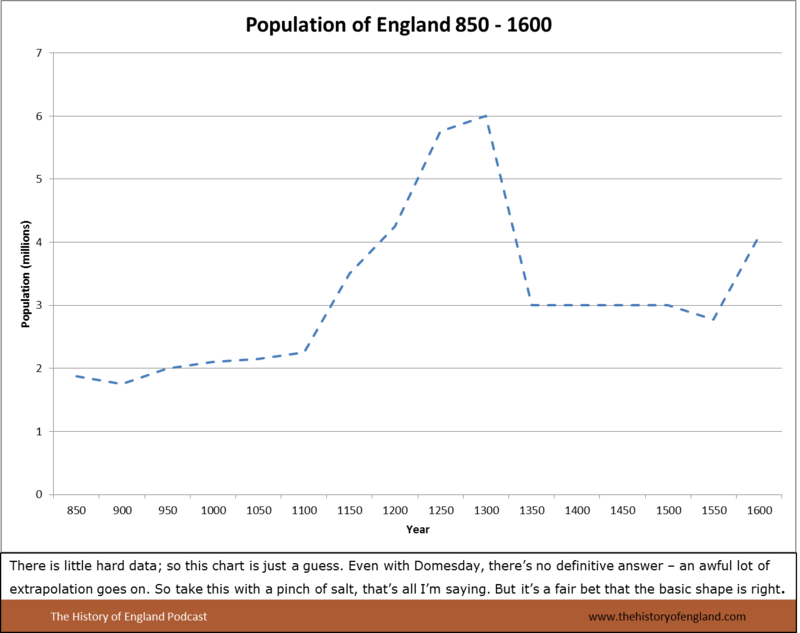 Economic development had enabled the population of England to grow faster, for longer than was usually the case in other European countries at this time. But the benefits of economic growth were poorly distributed and that showed. Population, at last, began to stabilize in the third decade of the seventeenth century and that began to slow down this long-term process of change. The reasons for that stabilization were, partly, shifts in mortality — the evidence is that life expectation at birth was deteriorating in the early seventeenth century — but it was restrained even more by shifts that were taking place in fertility; quite significant shifts. In the early seventeenth century, the rates of fertility that can be calculated from the parish registers of parishes show that marital fertility was falling quite sharply. That was produced, in part, by a rising age at marriage, people were marrying later and having fewer children. But it was also produced by a larger proportion of the population never marrying at all. It was startling when historical demographers discovered that of the people who were coming up to marriageable age, from the 1620s through to the 1650s, people who’d been born around 1600 to 1610, or thereabouts, as many as twenty percent, or sometimes even more, never married. It’s a quite extraordinary figure; a very large proportion of the population remaining unmarried. What we seem to have here is evidence of a situation in which, for those who were doing least well in the circumstances of the time, life was too insecure, or living standards were too marginal, for them to be able to marry and establish independent households of their own. As a result, fertility declined; population gradually stabilized. As population stabilized, so did prices. The great underlying dynamic of change from the second quarter of the sixteenth century through to the mid-seventeenth century was over. But that long dynamic of population growth, inflation and its many consequences in economy and society, had unleashed economic changes which would not be reversed and they had significantly reconfigured the structure of society and the relationship between its members. 1. Matthew Johnson in An Archaeology of Capitalism (1996). 2. For Margaret Knowsley, see Steve Hindle, “The Shaming of Margaret Knowsley: Gossip, Gender and the Experience of Authority in Early Modern England,” Continuity & Change, 9 (1994), and for Henry Savery, see S.D. Amussen, An Ordered Society. Gender and Class in Early Modern England (1988).